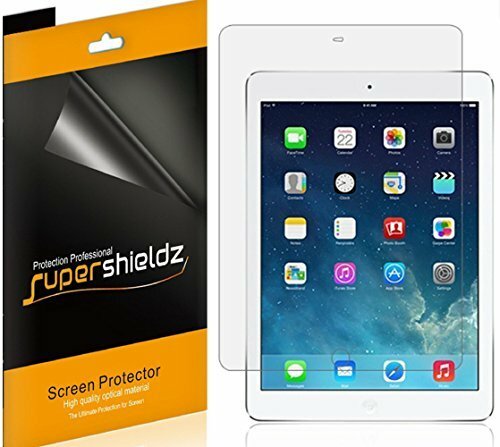 Home › Electronics › [3-Pack] Supershieldz- Anti-Glare & Anti-Fingerprint Matte Screen Protector F..
[3-Pack] Supershieldz- Anti-Glare & Anti-Fingerprint Matte Screen Protector F..
Color: Anti-Glare & Anti-Fingerprint Our screen protectors are made from Optical Grade Crystal Film which arecustom cut to ensure a perfect fit every time. Constructed in Five layers; ascratch resistant surface polymer, a hardened protective mask to prevent deepcuts damaging your device ,HD Clear Costing and finally a patented siliconegel that creates a vacuum to securely 'cling' to the device screen. Our screenprotectors use no adhesive and there is no spraying anything to the protectoror the device.